Are you an introvert? If you aren’t one yourself, chances are you know someone who is. If you’re curious about introversion, you’ve come to the right place. This article will answer all your questions and tell you everything you want to know about . Is introversion the same as being shy? Why are introverts so quiet? What are the benefits of introversion? Why do introverts need so much alone time? It’s no secret that I’m an introvert. Yet, although I’m approaching thirty and am writing , I’ve never read any books about introverts until very recently. My introversion is definitely noticeable. I’m often asked why I don’t talk more, and I’ve even been called “Mr. Silent”. Even more often, people don’t really notice me. For many years, I wished I was an extrovert, something that I think many extroverts have wanted at some point or another. I imagined all the benefits that come with extroversion. I thought about how great it would be to have the energy to talk to people and be able to have fun at parties. I dreamt of being more popular and sharing more of myself with others, but I could never muster the energy to talk long enough or loud enough to get anyone’s attention. To this day I’m in awe of people who can talk all the time, go from one social event to another, chit chat with whoever comes their way, and enjoy it all. No matter how tired they are, they keep socializing, no matter how sick they are, they keep talking. Nothing stops them. It’s amazing! I sometimes forced myself to wear the extrovert hat, approach people, and start a conversation. However, I would always lose the energy to continue contributing to the conversation sooner or later. As a result, people would gradually stop noticing me. Naturally, I started to feel bad when people stopped noticing me, which further diminished my ability to push myself into rejoining the conversation. In the end, I would just give up. I would go home drained and full of frustration. No matter how hard I worked on myself, no matter how hard I fought to be the best that I could be, I was never the life of the party. I thought my issue was a lack of confidence, assertiveness, or leadership. That was true to an extent, but it was only half the story. At the time, I didn’t fully understand what it meant to be introverted. 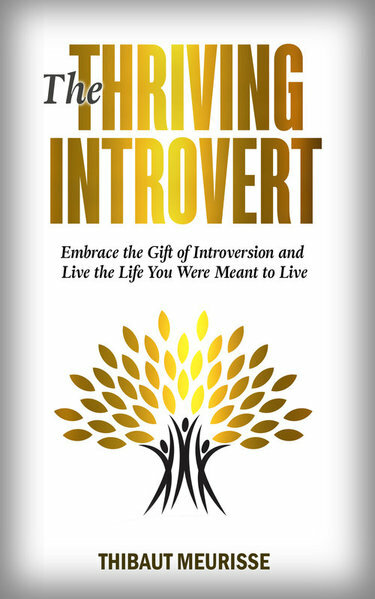 In a world where extroversion seemed to be the norm, I was trying hard to put an end to my introversion. That was an impossible task, but I didn’t know that at the time. It seems that most extroverts don’t really understand what it means to be an introvert. In the same token, it’s not easy for introverts to understand extroverts. The real problem, however, is that many introverts don’t understand themselves and wind up thinking something is wrong with them. This actually makes a lot of sense, especially when you look at some of the definitions of “introversion” out there. I was shocked by how negative some of them were. Read on for some of the most unsettling ones. In what is perhaps the most negative definition of all, Webster’s New World Thesaurus claims that the words “brooder”, “self-observer”, “egoist”, “narcissist”, “solitary”, “lone wolf”, and “loner” are synonyms for “introvert”. Judging by those definitions, being an introvert doesn’t sound like much fun! In fact, it sounds like a pretty bad thing to be. This begs the following questions: Why are introverts so different from extroverts, and is it possible for them to become extroverts? Whether we’re introverted or extroverted seems to be greatly determined by our genes, which means we can’t change it. It’s a part of who we are. That said, introverts are capable of acting like extroverts and vice versa for a limited time. This, of course, requires each to return to their natural states and recharge their batteries. The main thing that distinguishes introverts from extroverts is the way they create and consume energy. Extroverts need a lot of stimulation from the outer world. Without it, they start losing energy and begin to feel bored, lonely, or tired. Introverts need less stimulation from the outer world and time spent in social situations will deplete their energy, forcing them to withdraw and spend time alone in order to rejuvenate themselves. It’s crucial for introverts to understand that being introverted is NOT the same as being shy. Although there is some correlation between the two, they are two different things. Not all introverts are shy. Conversely, some extroverts are shy, which can be especially frustrating. If you’re a shy extrovert, you want to talk but you just can’t! Believe it or not, there are actually scientific reasons as to why extroverts need more stimulation: they’re more sensitive to dopamine than introverts. In fact, the dominant neurotransmitters of both groups are completely different: introverts use acetylcholine (pronounced uh-seet-l-koh-leen) as their primary neurotransmitter while extroverts rely on dopamine. Acetylcholine is created through feeling and thinking, and its presence increases focus, enhances memory, and fosters a sense of well-being. It could be said that introverts auto-stimulate themselves by spending time thinking, observing, or contemplating. Extroverts, on the other hand, need to create more dopamine, which requires adrenaline. Increasing activity and seeking out stimulation are both efficient ways to ramp up adrenaline. This is why daredevils always seem so energized by stunts that would make most of us pass out in fear. Speaking of daredevils, the need for dopamine and adrenaline is a major reason why extroverts tend to take bigger risks than introverts. Risk-taking provides that extra stimulation that extroverts need. They’re more reward-oriented and tend to get bored when they’re alone too long. As a result, they tend to lose focus and feel worse when under-stimulated. Although most people think that introversion and extroversion are the only two options, these two things actually exist on opposite sides of a continuum. This means it’s entirely possible to be an ambivert, or rather, someone who has aspects of both. Ambiverts are somewhere in between introverts and extroverts. So where would you put yourself on the continuum? Spend time alone to replenish themselves. Dislike small talk but enjoy deep conversation. Prefer small groups to larger ones. Tend to avoid initiating conversation until they feel they’ve got something important to say. Listen more than they talk, but can talk a lot when the topic is something they are passionate about. Choose depth over breadth. In other words, they would rather know a few people very well than know several people casually. Likewise, they would prefer to know a lot about a small cluster of topics than know a little bit about a wide range of topics. Need to be alone to think. We talked a bit earlier about the fact that introversion and shyness are not one and the same, but now we’re going to delve a bit deeper into that. If someone is an introvert, it just refers to the way they create and consume energy. It doesn’t mean that they lack self-confidence or are afraid to talk to people. If that’s the case, it’s a separate issue, because people of all personality types struggle with confidence and fear. Many introverts will actually talk a lot during deep conversations, but small talk is draining for them. They feel that they should talk when they have something valuable to say, not just because they should be talking. Forcing themselves to speak when they don’t want to requires a major effort on their part and will quickly deplete their energy. Other forms of stimulus that extroverts often enjoy, such as noisy places, bright lights, crowds, or unfamiliar situations will also drain their energy. As an introvert myself, it took me a while to differentiate between my introversion and shyness. As I gained more confidence over the past few years I discovered that I’m not a particularly shy person. I don’t necessarily feel shy in large groups of people or when engaging in chit chat, but I still avoid talking when I don’t have the energy for it. Certain situations require more energy than I have and it is that, rather than shyness, that keeps me from being the chatterbox I have sometimes wished I was. Over time, I’ve become progressively more aware of the vast differences between introversion and shyness. Here are a few questions for extroverts that seek to better understand introverts: If talking to people at parties would cause your energy levels to plummet, would you talk to people indiscriminately or choose carefully? Who would you talk to, and what would you talk about? Pondering these questions might give you an idea of how introverts feel. When I go to a party, I usually don’t know who I should talk to. There’s not enough time to get to know many people and I’m not fond of casual conversations. I usually end up having a one-on-one conversation with a few different people (this is the best option for me, provided I’m talking to interesting people !) or wandering awkwardly from group to group, exhausted and unsure of what to do. That, of course, is the worst-case scenario. Introverts don’t get energized through socializing in and of itself, but can get pumped up and even intense when conversations turn to topics that they’re passionate about. I can’t stress enough how important it is to understand the difference between introversion and shyness. When people get this, it gives them an opportunity to reassess whether they’re actually shy and break free of guilt. Working on self-confidence is hard enough on its own, so don’t make it make it harder by confusing introversion and shyness. Doing so can lead to wasting time and energy trying to change something that can’t be changed, which will ultimately end in discouragement. Feeling tired after spending a lot of time with people is normal. It’s not because you’ re shy, should to get out more, and need to get used to talking to people. You’re just introverted, and there’s nothing wrong with that. It’s okay if you can’t talk at a meeting without preparing beforehand. It’s okay if people around you seem like geniuses because they can deliver eloquent speeches at the drop of a hat. They may not be any smarter than you. There’s nothing to worry about if you can’t think clearly while in a large group. I’ve noticed that it’s very hard for me to come up with really good ideas or think deeply when I’m part of a group. I do my best thinking in solitude. You don’t need to feel bad if you have a hard time with chitchat or if you don’t feel like talking. And if people find you boring or dull because you don’t talk much, that’s okay, too. I feel introverts tend to seem shy because interacting with people is taxing for them. As a result, they have less experience talking to people than extroverts do, and thus have a learning curve when it comes to building social skills. On top of that, extroversion is the norm in many countries (such as the United States), even though introverts account for 25% of the world’s population. Unsurprisingly, schools and offices aren’t designed for introverts. Many introverts spend their lives being told that they should talk and socialize more, which often leads to guilt and feelings of low self-esteem that extroverts are less likely to experience. That said, you be careful not to hide behind your introversion. Be sure to get out of your comfort zone on a regular basis. Differentiating introversion from shyness can be tricky (that’s why we’ve discussed it so much!). I’ve got something I want you to try for the next two weeks when you interact with people. Do you feel shy and awkward, or are you simply not in a talking mood? Are you feeling drained or are you feeling timid? Do you feel more comfortable with one-on-one conversations, or do you feel awkward, timid, and shy regardless? Try to identify the feelings that come up during each of your conversations. If you keep track of how do you feel, whether you’re talking, why you are or aren’t, it’ll be much easier to separate shyness from introversion. Fact: Introversion is not a mental disorder. In 2010 a proposal was made to include introversion in the Diagnostic and Statistical Manual of Mental Disorders, which is considered the bible of mental health diagnoses. Like many otherwise harmless qualities, introversion can coexist with mental health issues, but the proposal was rejected. Unless you’re so introverted that it keeps you from functioning on a daily basis, you have nothing to worry about. Fact: Social skills can be learned, and, unless they’re markedly shy, introverts can communicate with others just as well as extroverts. They tend to be good listeners, which often gives them an edge over extroverts. Fact: Introverts are as interested in people as anyone else, and are often more interested in people than most. This is part of why they tend to shy away from small talk, they’d much rather get to know people in-depth. Fact: This may seem true in big groups, but when it comes to small gatherings and one-on-one conversations, introverts can talk a lot. This is especially true if they know a lot about the topic at hand or feel strongly about it. I may not talk much in group settings, but if I’m with one or two friends it might be hard to shut me up! As is the case with most introverts, however, this all depends upon how well I know the people I’m talking to. Once the group starts to exceed 6 people, I begin to talk considerably less. One-on-one conversations are my favorite form of communication because they allow me to learn more about a person: who are they? What are they passionate about? What are their values? What concerns them? What are their dreams? And so on. While I can’t speak for every introvert, I can say that the majority I’ve met get a kick out of conversations like that. If you’re introverted, the following tips might be helpful. Learning to use your energy wisely is crucial. You shouldn’t let people or situations deplete your energy against your will. Your friends might say that you should join the party because “it’s going to be fun” or pressure you to stay longer than you’d like. This is probably well-intentioned, but the fact remains that you are the only one who knows how you feel and what you want to do. I don’t like it when someone tells me what I should do based on what they want to do. I have a feeling that none of us enjoy that very much. Telling an introvert to stay at a party when they want to go home and recharge is like telling an extrovert to go home and read when they want to socialize and increase their energy. “Come on man, you’re so boring! Go home and read a book!” :-p. It sounds pretty funny when you put the shoe on the other foot, doesn’t it? How often do you interact with people at work or in your personal life? When do you feel the most energized? How many hours can you stay at a party before feeling drained or bored? How can you rework your life in a way that allows you to get out and socialize without getting constantly drained? Introverts tend to think a lot. Sometimes they think so much that they might have a hard time sleeping. Their ability to think so intensely can go from a blessing to a curse if they’re unable to control their thoughts properly. While extroverts are often able to take action without thinking excessively, introverts often overthink things. If they want to do something, they’ll go over what it would entail so many times that simply thinking about how much energy the task will take drains them! Since introverts deplete their energy in most social interactions, this tendency to overthink might be a defense mechanism to protect their energy and avoid taking on more than they can handle. Now that we’ve discussed the potential curse, let’s talk about the blessing. The introvert’s ability to think comes with many benefits. If they can pinpoint what they want to do with their lives and center their focus on that goal, they can master anything. As I mentioned in “Myth #2 – I Have No Talent – Do You Need Talent To Be Successful?”, deliberate practice is what separates average people from those who achieve extraordinary things. Deliberate practice is meticulous training that focuses on the specific skills we need to work on in order to improve our performance. It’s usually done alone and involves lots a repetitive work. It’s rarely fun, requires constant feedback, and takes a significant amount of effort mentally. Because introverts naturally spend more time alone, usually enjoy focusing on just a few things at the same time, and can stick to specific tasks for longer periods of time, they have a significant advantage over extroverts in this area. Make sure that you know where you stand in terms of introversion and shyness. Don’t deny your introversion! Fully embrace it! Being an introvert is part of who you are. If you try to act like an extrovert you’ll wind up feeling rundown and unfulfilled. Your introversion can be a source of great power. It fuels your ability to focus, analyze, persist, and create. It enables the intense passion you feel when you do what you truly love. So find out what you’re passionate about, leverage your strengths, think even harder, persist even longer, and create even more! The world needs you. Wait! 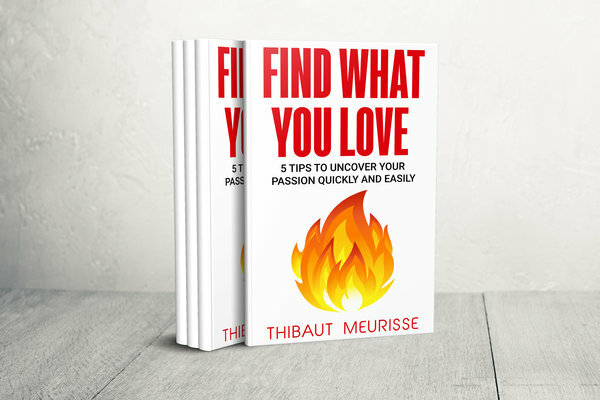 Before you leave don’t forget to SIGN UP to get your FREE copy of my ebook “Find What You Love”.